With a reliable roofing system, your home will stay safe, dry and cozy through the seasons. Many people, however, find it difficult to choose the right roofing material, pitch and style that can match their home. What are the factors to consider when making these tough decisions? Sadler Building Corporation, a custom home builder in the area, shares some tips on choosing the perfect roof for your custom home. Asphalt shingles may be the most popular roofing material in the country, but that doesn’t mean they are your only option. Some homeowners prefer unconventional materials, including metal and tile roofing. Your choice, however, should be based on your home’s location, climate and structural design. Note that the right roofing material can help boost curb appeal, energy efficiency and weather protection. What most people don’t realize is that their material choice should depend on the roof pitch. This is because the pitch refers to the angle or slope of a roof. For instance, for every 12 horizontal feet, the roof drops four feet. This roof pitch is perfect for asphalt shingles and other composite roofing materials. To help you determine the perfect roof slope for your home, get in touch with a semi custom home builder. The style of your roof mirrors your home’s overall theme. Flat roofs, for example, are often installed in contemporary homes due to their straightforward design. Ranch houses, on the other hand, can benefit from gable roofs. 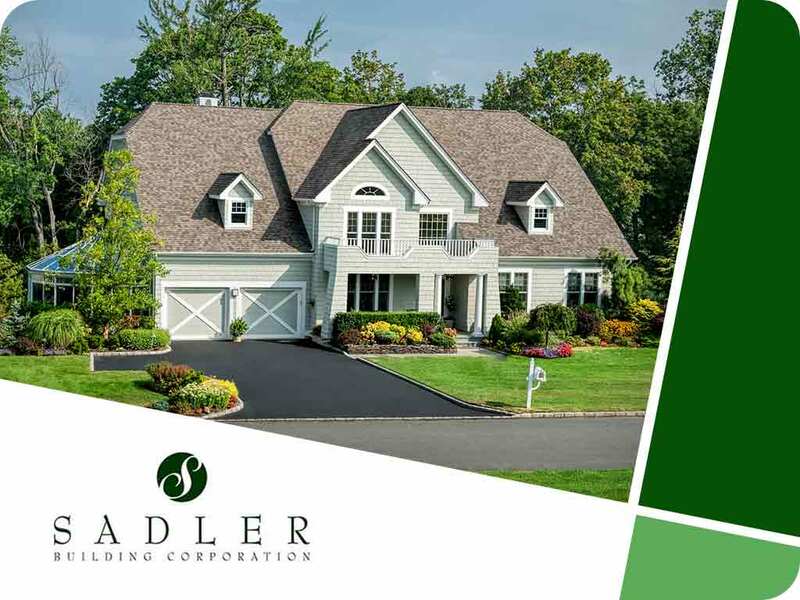 Work with Sadler Building Corporation for your custom home and remodeling project. We have established a reputation of honesty and integrity while building homes in many exclusive neighborhoods since 1986, so you can rest assured that your remodeling will go smoothly. Call us today at (757) 273-6798 or fill out our online form to learn more about our services. We serve residents of Virginia, including Suffolk, VA, and other nearby areas.